Bill was born and raised in Cobourg, Ontario. He has a Master of Divinity degree from the University of Toronto, a Bachelor of Science RN and diplomas in Practical Nursing, Business Management, and Volunteer and Fundraising Management. worked in South Florida hospitals and facilities with a number of celebrities, including Audrey Hepburn, HRH Diana the Princess of Wales, Susan Anton and others. He received a Presidential Award for Improving the Quality of Life in South Florida, and raised millions of dollars to support the work of The Sir William Top Hat Society. Bill now lives in Stittsville, Ontario with his husband Ray, step-son Jack, step-brother Rod and two miniature poodles. His hobbies include gardening, thrift-shopping and antique-hunting, painting and working as a therapeutic clown. Tony is the Music Director at Notre Dame High School in Carlton Place where he teaches music, directs several school ensembles and was the recipient of the Majic 100 Golden Apple Award for Teaching Excellence. Tony is also an active freelance professional musician, performing on clarinet, saxophones, piano, and vocals (he also plays guitar). 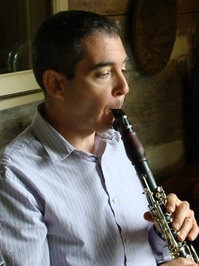 At the moment he is clarinetist with The Rideau Lakes Chamber Orchestra and The Somerset Combo. Tony has 16 years of experience as a music director in church settings as well as theatre experience. Tony is married to Cynthia and they have three boys: Matt, Austin, and John. 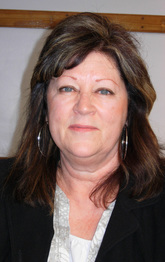 Nancy served as the Executive Director of the Lanark County Food Bank for 20 years. She was then the Medical Receptionist and Bookkeeper for Country Roads Community Health Centre for 2 years before moving to St. Andrew’s where she now holds the position of Pastoral Charge Administrator. Nancy moved to Pakenham in the summer of 2013 and loves the area and the people in the community. She has two grown sons - Tyler, who lives in Almonte, and Tom, who lives in Carleton Place. She is also a proud Grandmother to Emmett Tyler Forbes, born June 12, 2018.